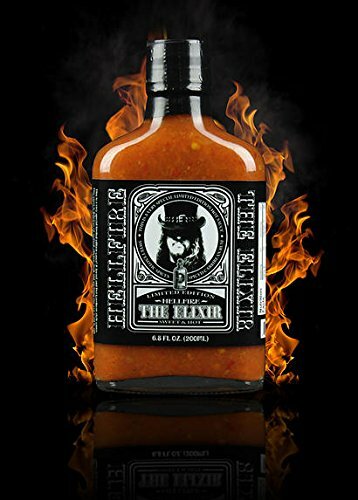 Hellfire The Elixir Limited Edition (6.8oz) - This is a very special limited edition sauce! A sweet and hot Carribean style sauce. This sauce is delicious on seafood, chicken, steak and anything else you want to add some sweet heat to! Featuring the Morouga Scorpion pepper, mangoes, papyas, pineapple and Carribean spiced rum! Enjoy! If you have any questions about this product by Hellfire Hot Sauce, contact us by completing and submitting the form below. If you are looking for a specif part number, please include it with your message.